The book just got a lot more real in the last few days as the publisher came up with a couple of designs for the book. I posted both options on my Facebook page asking people which one they liked better. The response was great - about 50 votes and comments from across the USA and from as far away as Australia and New Zealand. It was a clear vote of about 2 to 1 for this design. We had them do some tweaks to make the font a bit less comic sans looking. I like this design for a lot of reasons. The wood box and shadowing gives it depth and a 3D quality. It also focuses people to read the small print subtitle. 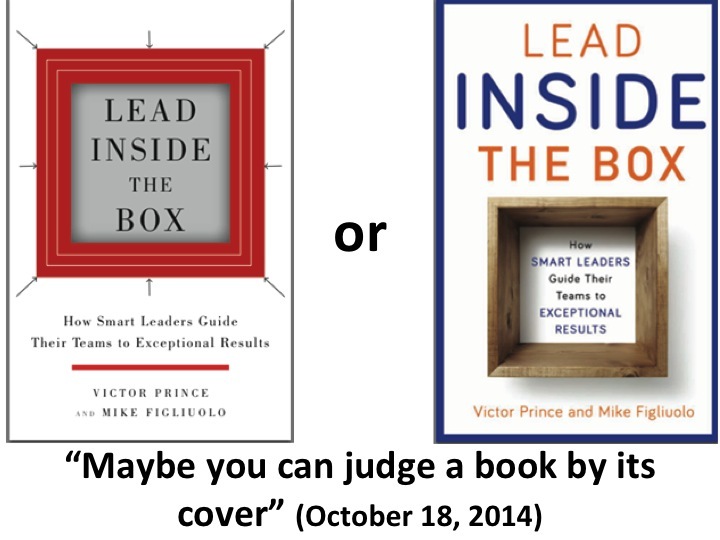 I like the ironic twist it adds too by having the main title "Lead Inside the Box" sit outside the box. Just like how our main title is a twist on the "think outside the box" common expression, having the title outside the box is a nice twist.